A man was hit by a vehicle on Russell Street this morning, October 25, and sustained serious injuries. Missoula Police Public Information Officer Travis Welsh says police were called to the seen just after 7:30. "We have the 3000 block of Russell Street closed down while investigators are processing the scene of a crash. We responded there this morning at about 7:30 a.m. the report was a vehicle vs. a pedestrian. When officers arrived they found a person on the ground being attended to by EMS and made contact with the driver of the vehicle." Welsh says the driver of the vehicle is an adult male and that the driver was cooperative with police. An area of Russell was shut down in both directions for over two hours as police processed the scene. 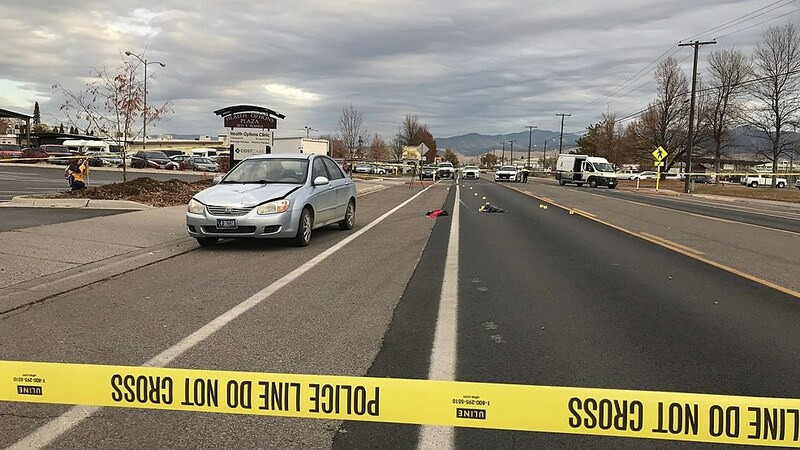 "It appears that a southbound vehicle struck an adult male pedestrian as he was in the street," Welsh said. "It appears at this point that he was in the proximity of the crosswalk, however, this early in the investigation we can't say exactly where he was, but it is certainly something we will be looking at during the investigation. The pedestrian was transported to the hospital with serious injuries, right now, we don't know his status." Though the incident occurred not far from Russell Elementary School, Welsh says students and parents still had access to school and no children were involved in the crash. The road was re-opened around 10:30 a.m.